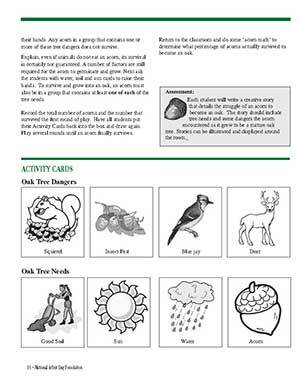 Ready to integrate some tree-related activities into your classroom this Arbor Day? Try out some of the suggestions below. Study the ecosystem of one particular tree. 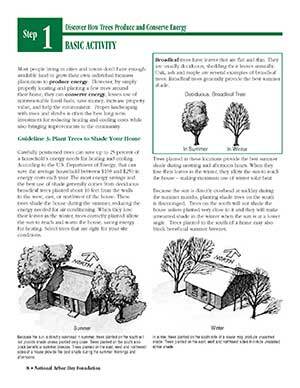 Learn to identify trees in your community. 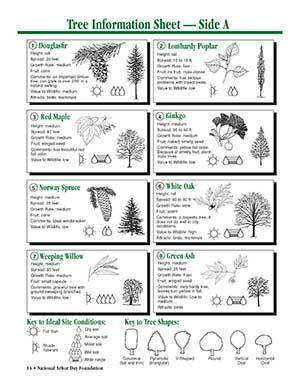 Students can use a tree key or create their own. 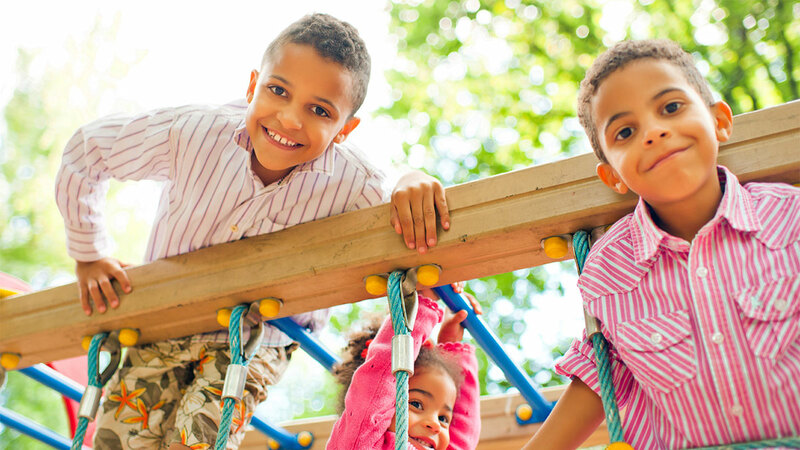 Take a nature walk and practice this new skill. 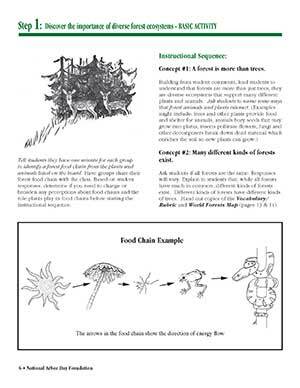 Study the structure of a tree, how it functions, and what benefits a tree provides. Learn about the history of Arbor Day. 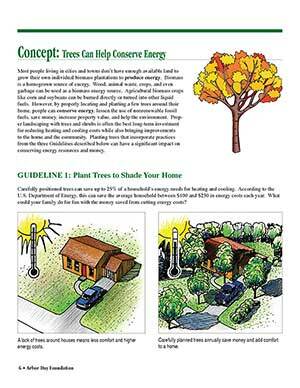 Study the importance of trees in different cultures. Correlate the history of the United States or your community to one tree's growth rings. 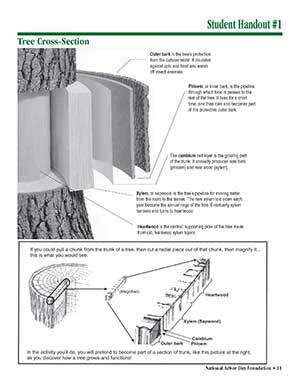 Learn how to measure a tree's height, crown spread and diameter. Have younger children count the rings on a tree stump. Look for a pattern of numbers in nature. Collect leaves, brush tempera paint on them and make leaf prints. Make bark rubbings. Have students trade rubbings to see if they can identify each other's tree. Tree shapes often aid in tree identification. Have students pretend to be a certain type of tree—weeping willow, redwood, etc. Write an Arbor Day poem or rap and perform it for the school. Ask each to student write a description of a tree found on the school grounds. Then see if other students can find it using the description. Have students write letters to community tree planters, thanking them for their efforts. Find out about spices and other foods and learn about the trees that produce them. Play Who Wants to be a Treellionaire? 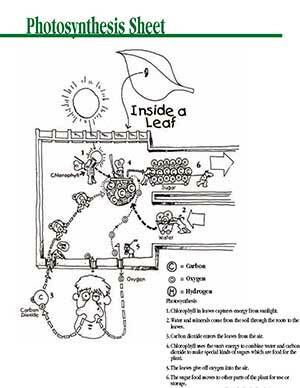 or Tree-vial Pursuit and see which class or group of students can answer the most tree-related questions. Plant trees on the school grounds and learn how to maintain them. 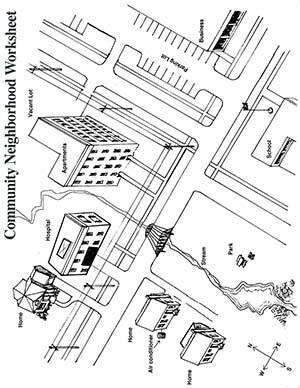 Participate in a community Arbor Day celebration. 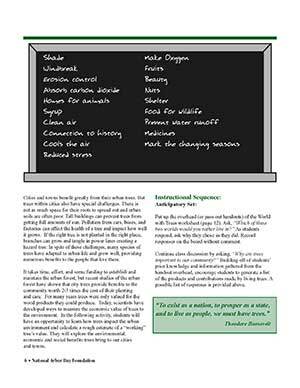 In past years, educational activities were developed for use in 5th grade classrooms. Please feel free to continue using this great content—and adapting it to meet your needs.